Sister Ebele, this is fantastic! Why in god’s name is her hair like that??? Is the author a Skin Bleacher or something? speaking up about the images we feed to our children? The PHOTO ruins the whole purpose of the poem. Completely ruins it! 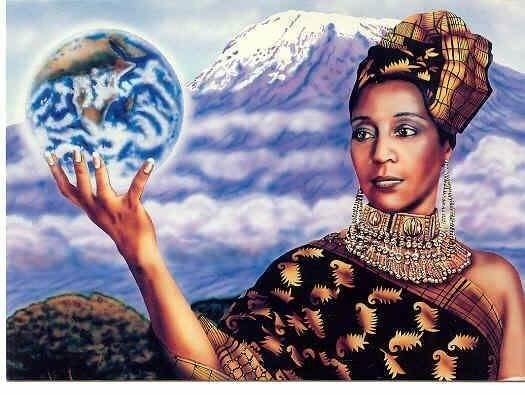 The author had nothing to do with the image, it was me who added it, not because I feel that its a perfect representation but because its one of the few modern works of art that portray the Igbo Earth Mother. After more people learn about Ani and what she represents, we know that they will produce art that will portray her in a more appropriate manner. Why not just post a photo of a real Igbo woman from an actual Igbo village? supporting it will lead “other future artists” to paint a more realistic representation. of African looks continues to grow unchecked. portrayed as an ANCIENT Nigerian goddess. that it would actually mean something to us–to all Africans. I see what you are saying. Thanks for pointing that out. Take a look at the new pix. OH MY GOD!!!! THANK YOU!!!!! This is so beautiful Onyemobi!!! God Bless you, Beautiful Igbo! I love this now! Posting to my FACEBOOK! The prints both representations: where can I purchase them ? Please please PLEASE always credit the artists. Who are the artists? 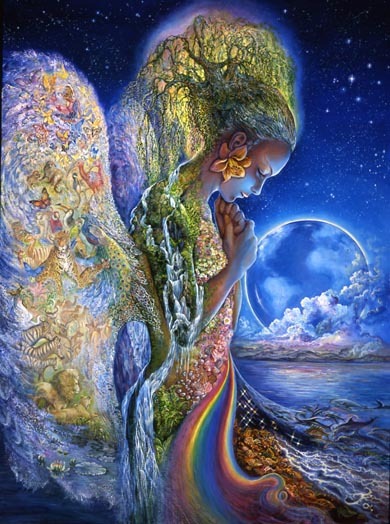 The one on the bottom looks like a Josephine Wall piece…What about the other? Lovely piece of poetry by Ebele thumbs up!!! Its thus make me proud of been the son of Ani.